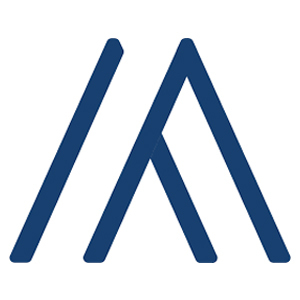 ResMan is a property management software that helps in the operation of serviced apartments, hotels, and vacation rentals. It offers a full system with marketing and sales management tools, analytics and reporting functionalities, and more. In this article, we cover ResMan reviews. Ready to get started? Request a free demo. Users who gave ResMan a positive review said that it is simple and easy to navigate. Some noted that the reporting tool is great, while others like the texting feature because it improves communication with tenants. One user who left a positive review on Capterra said that he is delighted with the automatically generated reports. He mentioned that the platform also allows him to store the logs in the system easily. 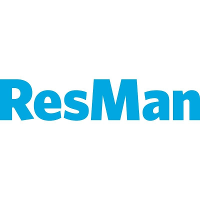 Users who gave ResMan a negative review said that they wanted to see some improvements, such as the ability to customize the design of the interface to match their brand. Others wish that they would be able to set up the recurring payment option per tenant instead of it being applied to all tenants. 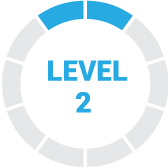 One user who left a negative review on Capterra said that it is very inconvenient that he can’t set a repeating payment to a specific tenant. He noted that the couldn’t find an option to exclude some tenants when setting the recurring charges. ResMan pricing isn’t available on its website. Similar software with basic functionalities usually cost around $10 to $35/month, while more extensive ones cost around $50 to $100 or more/month. Factors that affect pricing include the number of properties, size of a property, maintenance costs, and the network of sites where the ad will be posted. Ready to get started with ResMan? 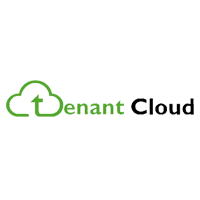 Request a free demo. Who will execute ResMan’s implementation process? ResMan’s in-house implementation team will perform all extractions and migrations, including Accounting Setup, Resident Data, Core Property Data, and more. Does ResMan provide ad hoc training? Resman provides ad hoc and customizable online training sessions. Have you read these ResMan reviews and are still not sure if it’s the right fit for you? 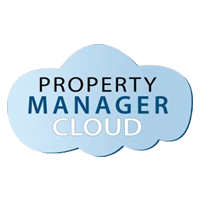 Read our reviews of all top property management software or check out one of these three ResMan competitors. What I enjoy most about Resman is that they are very tolerant if you make mistakes. In general, it is a simple and easy process to solve the problem. I also like the customer service they usually respond to the first time they call or call back within an hour if they are busy. Resman does not handle many of the affordable property tasks very well. Doing repetitions and renovations is very confusing and does not work as it should. It seems that they do not have a good knowledge of the needs of affordable housing. They are working to correct this, but it is a slow process. I’m very frustrated with the affordable side of Resman. It takes a long time for them to correct the problems and, often, they are not done. Some of their support staff are exceptional and others have no idea. There is a lot of this tool that we can say we like, the most relevant would be the ease with which we can do a great variety of obligations. We have taken a long time to find something that we do not like but there is nothing, it just bothered us that at first it got a bit congested but over time it stopped happening. That it would not work quickly at the beginning was the only thing that occurred to us, we hope it does not happen again although we doubt it, the application has worked very well in recent months. There is no way to download accounting to QuickBooks to handle accounting after selling a property. You need instructions for custom reports. The customer service is very good, but getting an answer is unpredictable and I often call other ResMan users because the customer service representatives could not answer my question. In general it is quite easy to use. It covers everything you need to run a multifamily complex. You can not change notes in a provider payment if it has been reconciled. This is very inconvenient. Currently, there is no custom report writer, but they are very close to launching one. The Development team has been outstanding and has always met and exceeded our challenging expectations. ResMan makes sure that my entries are correct and saves me time. It is customizable and allows you to create different permissions for each user. It works well with offices that run several properties. It does not handle many of the affordable property tasks very well. They do repetitions and renovations that are often very confusing and do not work as they should. Its learning curve is very long. I love ResMan because I have been able to increase efficiency and accuracy in my work. I have saved a lot of money because without ResMan I would have to hire more people to complete the tasks.